I spent the better part of two years working on an incubation team dedicated to Microsoft Hololens. I was the Visual Design Lead, guiding a team of eight artists and designers. Together we worked on a wide array of prototypes and experiences, not only pushing the visual boundaries of the device, but developing cohesive and foundational UX guidelines as we progressed. Most all of our work is still under NDA. Our team spent two years researching, prototyping and designing UI for mixed realty applications. Being some of the first to explore this new territory, there was no road map for us to follow as we determined the best means for users to interact with virtual content placed in their physical environment. Our team did extensive research, breaking down current paradigms in order to find solutions that made sense for mixed reality applications. Prototyping was a key component to our team's success while developing new experience for Hololens. Using Unity, we were able to quickly test user flows, allowing us to rapidly validate our assumptions in Hololens. Our team initiated the Microsoft Vision Labs, which was a means for select partner organizations to spend a week running through our creative process. After a week of research, ideation and validation, they were able to walk away with a working prototype of their vision. This is still an ongoing effort to better understand how enterprises can benefit from Hololens. 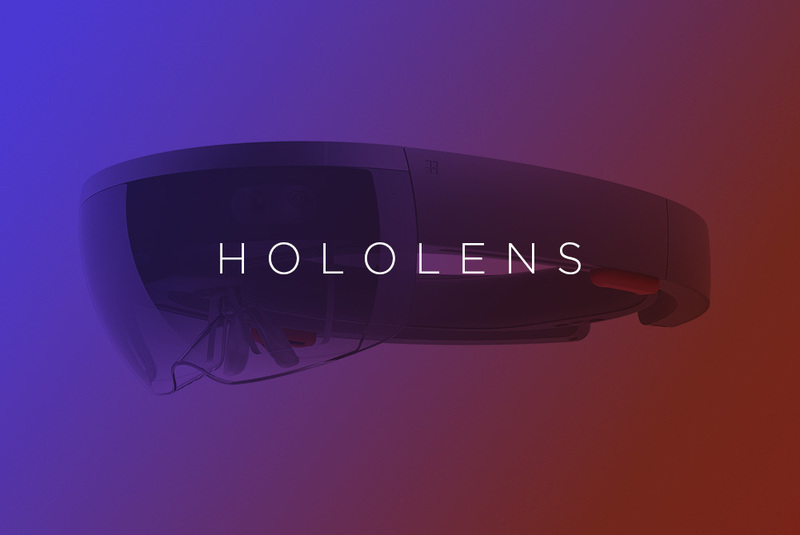 Over the course of 2015 and 2016, our team was directly responsible for concepting and producing many of the first stage demos and showcase experiences for Microsoft Hololens.